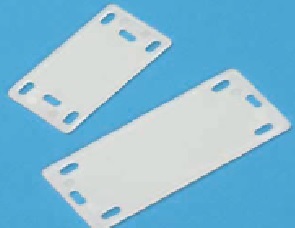 Cable Tie Identification Plates | ID Tags for Zip Ties | Cal Fasteners, Inc.
Cal Fasteners carries durable, easy to use identification plates that make it easy to label bundled wires, cables, hoses, or anything else fastened with cable ties. These ID tags provide twice the area of conventional flagged plastic zip ties, making them ideal for applications where information and visibility are critical. Available in two sizes and manufactured from natural-colored (off-white) nylon, zip tie identification plates can be installed vertically or horizontally for greater versatility. ROHS compliant. Request a quote on identification plates for your application, or contact Cal Fasteners to learn more.